Did Conor McGregor Ruin MMA? McGregor’s ascendence from Cage Warriors champion and Dublin welfare claimant to the biggest star in combat sports is unrivaled. Having burst on to the global scene in 2013 in Stockholm, Sweden, the Irishman built a legion of followers due to his all-action style and electric personality. “The Notorious” simply had a mainstream appeal which was unrivaled in the sport. A young, confident, braggadocious Dubliner with a silver tongue and incredible self-promotion skills, the young upstart’s fame snowballed with a heavy push from the UFC. 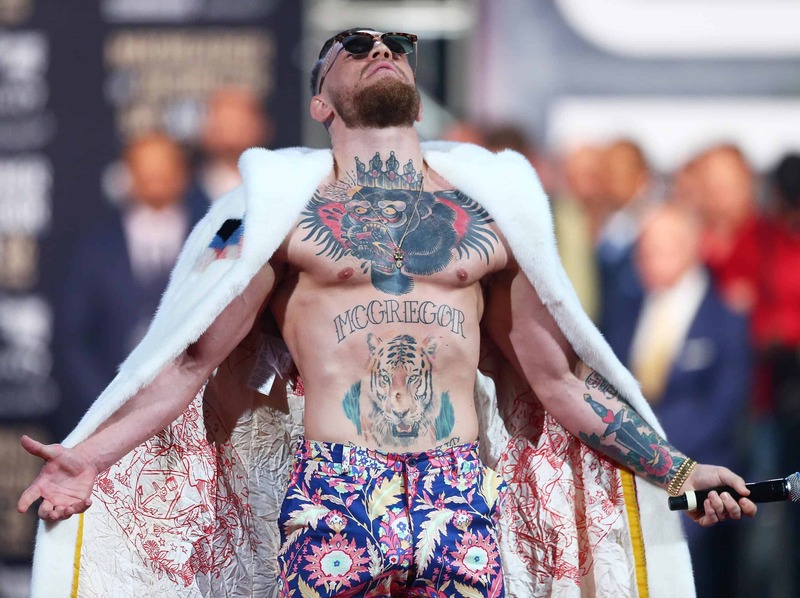 Fighting initially in the featherweight division of the promotion, McGregor displayed killer-instinct and knockout power which saw him fight his way through the 145-pound roster. Having dispatched Brimmage, McGregor would then go on to beat future featherweight kingpin Max Holloway, sustaining an anterior cruciate ligament injury which ruled him out of action for close to a year. The Irishman’s hype did not die down following his stretch on the sidelines – many heralded the outspoken and talented prospect as the future of MMA. Not everyone was convinced, however, but the UFC sure was. The legions of Irish fans which scrambled to get any hint of McGregor’s return bout a testament to his rising popularity. McGregor would eventually return to action, taking on Brazilian Diego Brandao in Dublin’s 3 Arena in July 2014. The UFC did not miss a trick, booking the Dubliner in for a bout in his hometown. While the thoughts of McGregor fighting in a similar venue appear ludicrous now, the packed out arena located in the Irish capital’s docklands certainly had the feel of 100,000 rather than the 13,000 it fitted in. When McGregor knocked Brandao out, the chorus of McGregor’s followers almost broke the sound barrier. Dana White and co. certainly saw a huge opportunity. The next stop on McGregor’s journey to superstardom saw him take on the tough and talented Dustin Poirier, shredding the American apart before either man had even set foot inside the cage. With a win over Poirier, McGregor was afforded a mismatch bout against Dennis Siver in front of a partisan Irish-American crowd in Boston, Massachusetts. Following the victory, McGregor hopped in to the crowd and confronted Jose Aldo, the dominant champion of the division. A fight was booked, and the McGregor circus was in full swing. Aldo pulled out with victory, prompting the UFC to draft in Chad Mendes at short notice. McGregor managed to overcome Mendes despite being outworked on the ground, earning him the interim UFC featherweight championship and a crack at Aldo once more. Fast forward through super bouts with Nate Diaz, the historic victory over Eddie Alvarez which saw him enter the record books as the first simultaneous two-weight world champ, and a questionable money-spinning boxing match against Floyd Mayweather and McGregor has been absent. Having made an absolute fortune from his incredible self-promotion skills and ability to sell fights, it came at a cost to MMA fans. Following McGregor, the game changed, in a sense. More fighters were adopting the brash, devil-may-care attitude in the hope of securing big-money bouts off the back of sensationalism. The UFC certainly has its fair share of big-mouths, probably best evidenced by the cringeworthy and idiotic behavior of welterweight contender Colby Covington. The question is: did McGregor change things to a point of no return? Ask any of Floyd Mayweather’s legion of fans to defend any sort of criticism of the boxing legend’s choice of opponents or behavior over the years and you will more than likely hear a reference to his wealth. Mayweather, a boxer of incredible talent, became a symbol of opulence to many who were happy to embrace him for that same image. The scary thing, when it comes to McGregor, is that he seems to be inheriting the same kind of defense from his own fans. In the days where fighters simply got on with fighting, and champions were not mandated to promote fights, we saw arguably some of the greatest fights in the sport’s history. The McGregor effect will more than likely dictate that those days are well and truly behind us, and that is a shame. A little late to the party but I’ve been thinking about this and I’d say yes and no. Dana White’s goal all along for the UFC was for MMA to become a mainstay sport, especially in America. He wanted it to be up there with the big 3 (basketball, football, baseball). The thing is though, the popularity will always come at the cost of the sport turning into a circus, like with boxing. Conor McGregor just happened to be the guy that Dana White needed for MMA and the UFC to have that push.